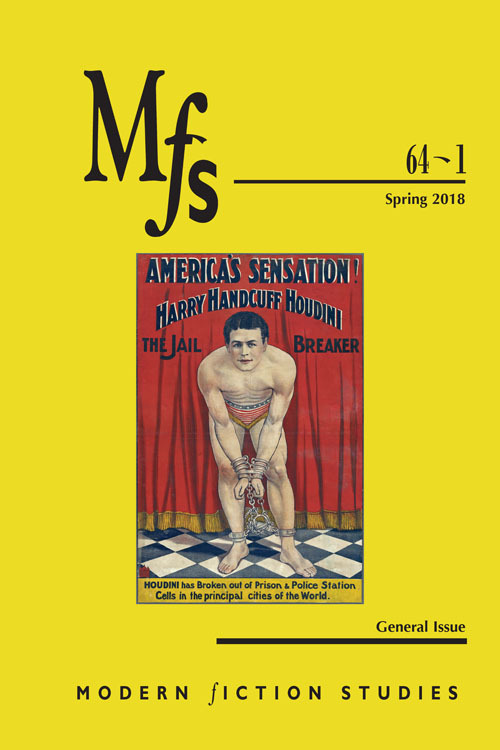 The Spring 2018 issue of MFS Modern Fiction Studies features an essay called by Iain Bernhoft called "The Politics of Escapistry: Harry Houdini, Nostalgia, and the Turn from Critique in Michael Chabon's The Amazing Adventures of Kavalier & Clay". I don’t think Houdini gets quite enough credit for how contemporary a figure he was: the way he used spectacle and irony, the way he worked with the media, and particularly the way he “developed his brand” (to use contemporary parlance)—all would play comfortably in the age of TV and Twitter. His career offers a window onto the origins and character of celebrity culture and the commodification of identity. 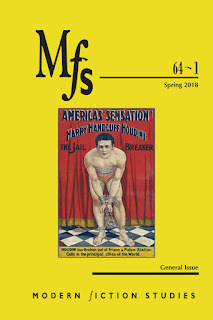 For more information on MFS Modern Fiction Studies visit the journal's official website. Thanks to the S.A.M. 's Twitter @SAMMAGICIANS for the tip.